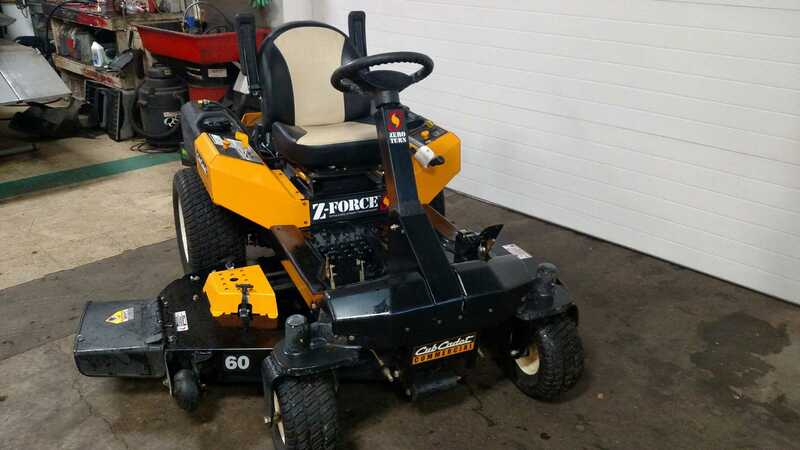 2011 Commercial series Cub Cadet mower. 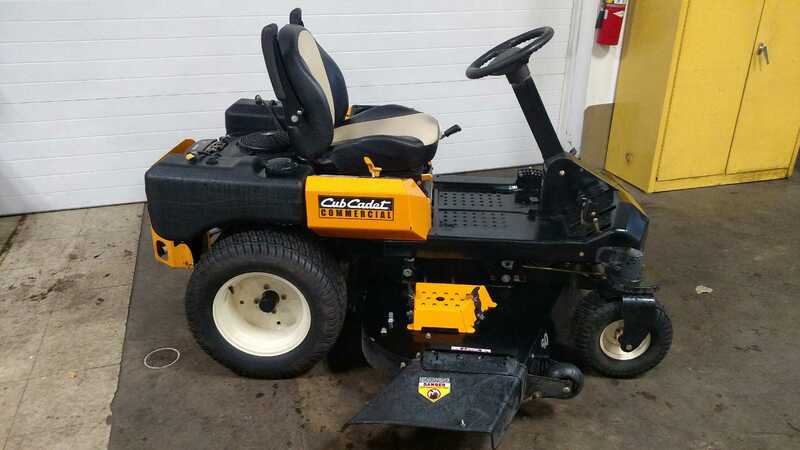 Comes with a 25 hp Kohler Engine and a 60" fabricated deck. Has been completely serviced and is ready to go. 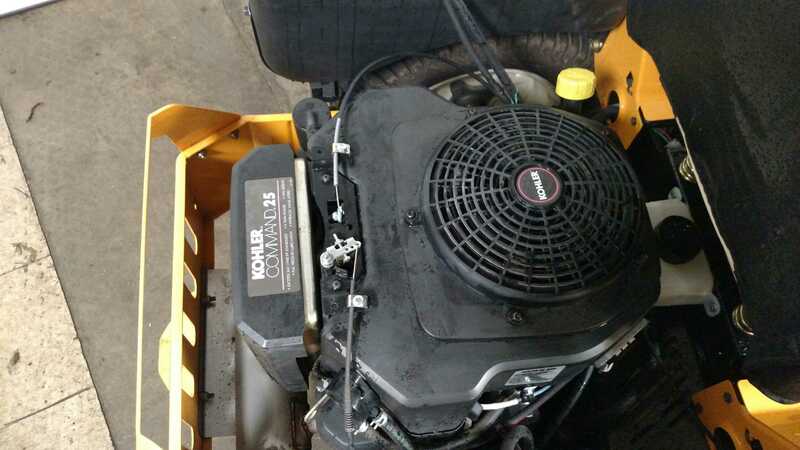 Please use reference number 115678 when inquiring about this machine. 25 HP Kohler® Command® V-Twin engine delivers efficient power for reliable starting and exceptionally smooth, quiet operation. Synchro Steer™ Technology controls both the front wheels and the independently controlled back wheels, providing more precision while cutting grass. EVC suspension seat complete with a pair of foldable armrests so maximize your support for a full day of work. Sloped-nose deck forces grass blades to rebound into the cutting edge for a cleaner, more even cut. Reinforced frame and commercial-grade transmission holds up to the biggest landscape challenges. Battery: 275 cold crank amp. Estimated Weight w/Deck: 835 lb. Deck Cutting Height: 1 in. - 5 in.